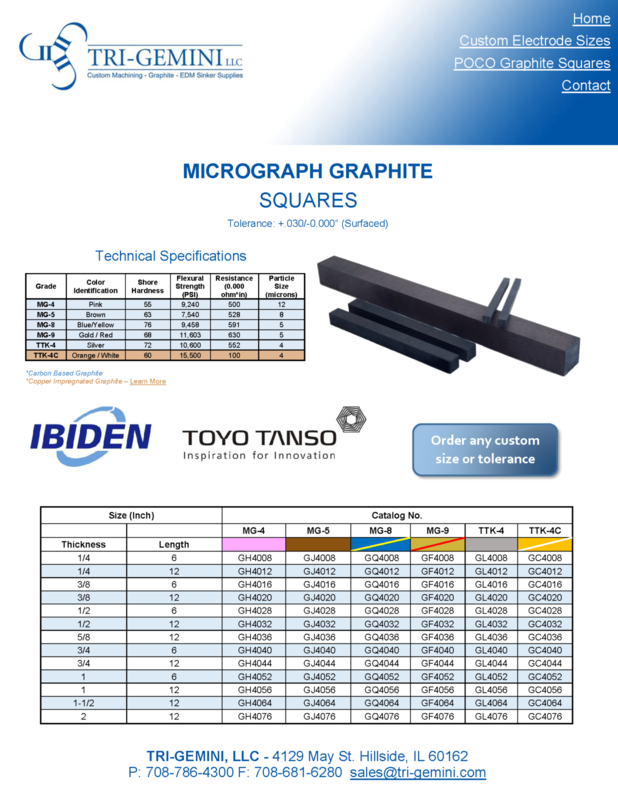 Tri-Gemini offers its own line of private-labeled graphite – MicroGraph. These products are chosen to be consistent and reliable and very cost-competitive. 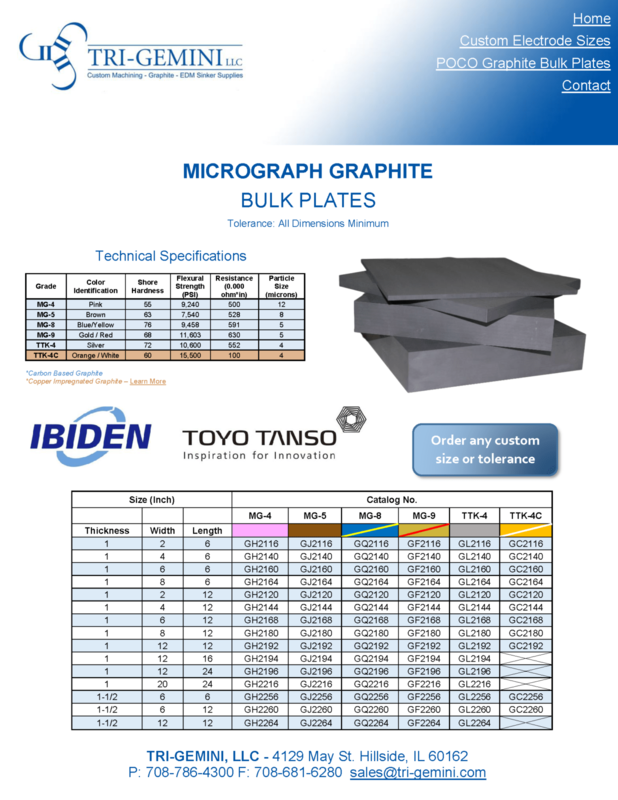 We stock plates, rounds, squares in many sizes. 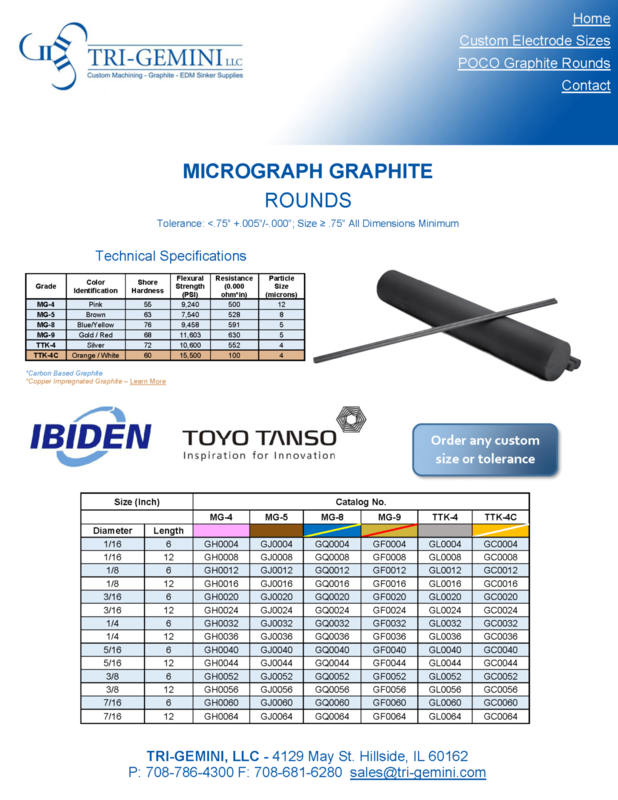 MicroGraph 5 is our most popular all-purpose, economical grade. We also have EDM application specialists on staff that can visit to discuss how we can fine tune your EDM settings to maximize our materials performance in your process.